Here are links to organisations we endorse and support. We support these charities and encourage you to visit their websites where you'll learn more about the great work they do. Across the world, over 100 million donkeys, horses and mules do the jobs of trucks, tractors and taxis, supporting the livelihoods of some of the poorest communities in the developing world. Their lives can be short and painful, and many will never have access to even basic veterinary care. That's where SPANA comes in. Pet cats, stressed cats, ill cats, homeless cats, free-living cats, old and young cats all have different needs, different problems and different approaches. 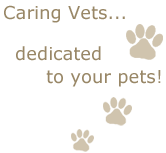 And this is where www.icatcare.org can help provide useful information. We are an international animal welfare organisation dedicated to improving the lives of working horses, donkeys and mules in some of the world's poorest communities. We provide treatment, training and programmes around animal health and wellbeing, operating across Africa, Asia and Latin America. www.thebrooke.org. 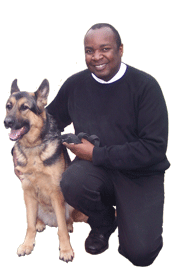 We are very happy to recommend the well known celebrity, author, and dog behaviourist, Robert Alleyne. Robert is the owner of The Dog Owners Club and is best known for his appearances on the BBC TV series "Dog Borstal". We were very fortunate that Robert joined us for our Open Day celebration in 2010.